I first learned of Bonk Breakers a couple of months ago. They are gluten, soy, and dairy free and aren’t over laden with preservatives or other garbage. They are currently offered in 10 flavors, including two “high protein” options, and are the official energy bar for Ironman. I wanted to test them for MCM but I wasn’t keen on the price – over $2.50 each! When Active GearUp ran a special of almost half off (seriously, have you joined yet? ), I decided to grab a couple of boxes at almost 40% off. I chose the Peanut Butter and Jelly and the Almond Butter and Honey. The Peanut Butter and Banana sounded like a bad case of heartburn waiting to happen but the Espresso Chip was a serious contender. At 2.2 oz. these are pretty big bars! Fun fact, they weigh half as much as the new baby panda. 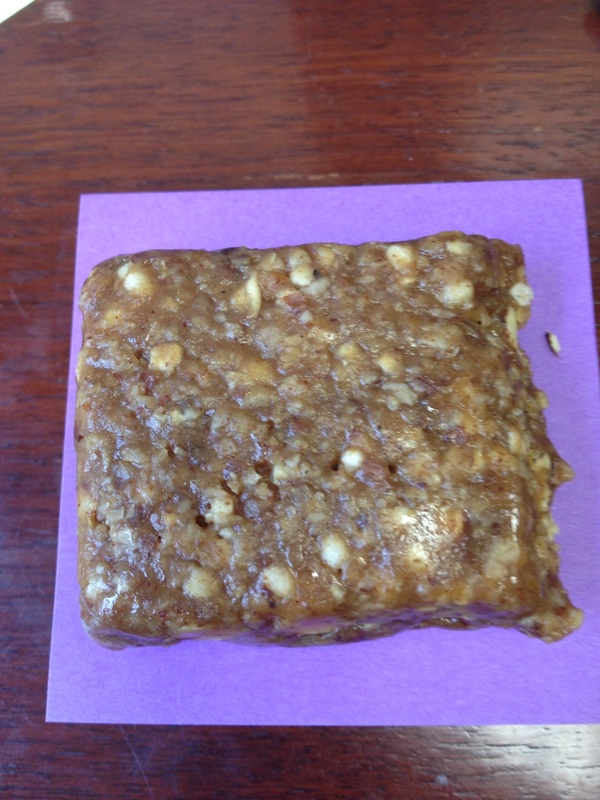 I decided to try my first bar, Peanut Butter and Jelly, on Sunday’s long run. I wasn’t too worried about stomach problems and I wanted to see how it would last during my slow slog. I personally found it to be too big to eat in one serving. I ate half around mile 6 and the other half around mile 8. Normally I like to walk when I eat but my running partner kept moving so I had to gobble the bar as quickly as possible. The taste was good – I could clearly taste both the PB and the J. It wasn’t too sticky or sweet and it was filling without being a lead weight in my stomach. I did find it on the dry side and I had to drink a good amount of water but that could have been because I was eating too fast. Overall, I was happy with the bar. It didn’t upset my stomach at all and my only (little) complaint is the size of the bars. Next time I plan to cut it in half (maybe even quarters) and stick it in a baggie so I can eat just a small portion at a time and not fuss with the wrapper. They also make a 1.1 oz Bonk Bites in four of the flavors but I’m okay with the baggie option. I plan to walk and chew more thoroughly in the future and better space the timing. I think that I ate the two portions too closely together as I wound up needing a teaspoon or so of the raw honey packet that I had with me at mile 16. I was in the full sun at that point and was seriously feeling the end of my run. I think better timing will help improve the bar’s staying power. Overall: Solid A. I know I will need more calories as a back-of-the-packer come MCM and I plan to use these with my Huma Chia Gels as my two fuel sources. The new Road ID app is a two-fold safety product. First, it allows you to customize your locked screen with your name, home city and state, any emergency information (allergies, etc.) up to 140 characters, and your emergency contact information (up to five). Technically, there are ways of doing this without the app but it is so much easier to update the information this way. 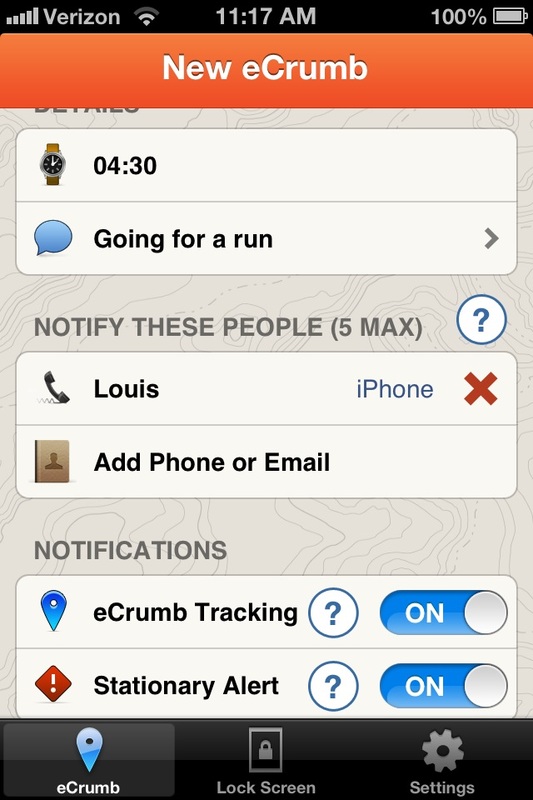 Second, it allows you to send up to five contacts an eCrumb that shows a real-time map of whatever activity you are doing. 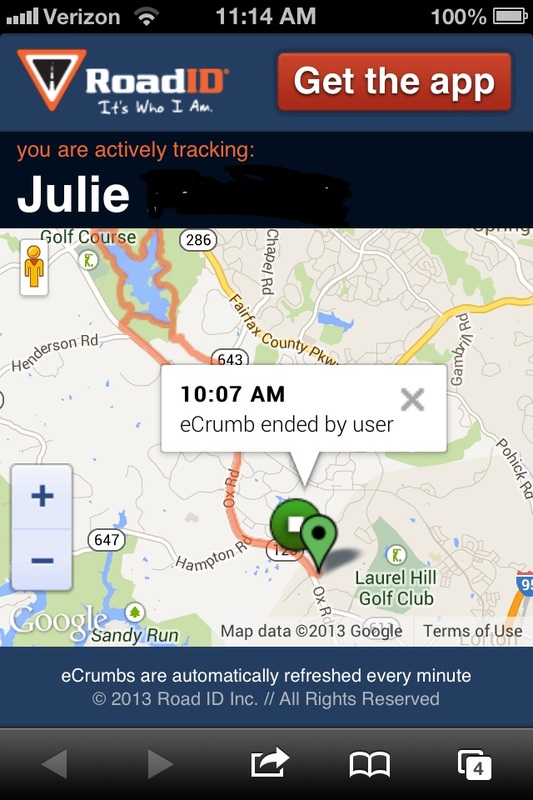 When the eCrumb activated, it will text up to five people with a link to a Google map that shows your progress. It will also tell your contacts what your activity is and how long you expect to be doing it. Finally, if you have the stationary alert activated, it will alert your emergency contact if you stop moving for five minutes (you can override the timer). Up until yesterday, I have only used the emergency “locked screen” feature but yesterday was my longest run yet on a quasi unfamiliar route so I decided to use an eCrumb. When I activated it, my husband was sent a text with a link to the map. He did not need to have the app loaded on his phone. He was able to watch in real time as I did my run. The miles don’t display on the map but, since I told him the route, he had a pretty good idea when I was almost done. This is such a great feature! I plan on using this at my races (so he can spectate more effectively and it should help with the family meet-up at the end) but I can also see using it to meet up with other runners. One woman from our group was going to meet one of our speedier members toward the end of the run for a couple of miles but they weren’t sure exactly where to meet. If the primary runner had used this feature, the one joining her would know exactly where she was! I know it seems like we are overloaded with technology these days but this is definitely worthwhile, especially if you are running solo, in an unfamiliar place, or just want to allow someone else to know where you are! Our family just returned from our annual pilgrimage to the beach. Being deep in marathon training, I had to make this a runcation – and I’m glad I did! 1. To be a better vacationer. I love my family but a week on a different schedule and in a different place (and maybe too much ice cream) made us all a bit grumpy at times. The days that I ran were the ones that allowed me to handle the grumpies with more grace. 2. To not blow your diet – too much. Running helps to remind me that my health is important and that diet is key. We did have our moments of indulgence but it was much less than previous years. 3. To be a better tourist. I was able to explore parts of the area that I hadn’t seen on all of our previous visits. I also had the chance to see some great sunrises! 4. To have a change of pace. There is nothing like an entirely new route to make running interesting! Where we live in northern Virginia, I literally can’t leave my house without hitting 3 decent hills. 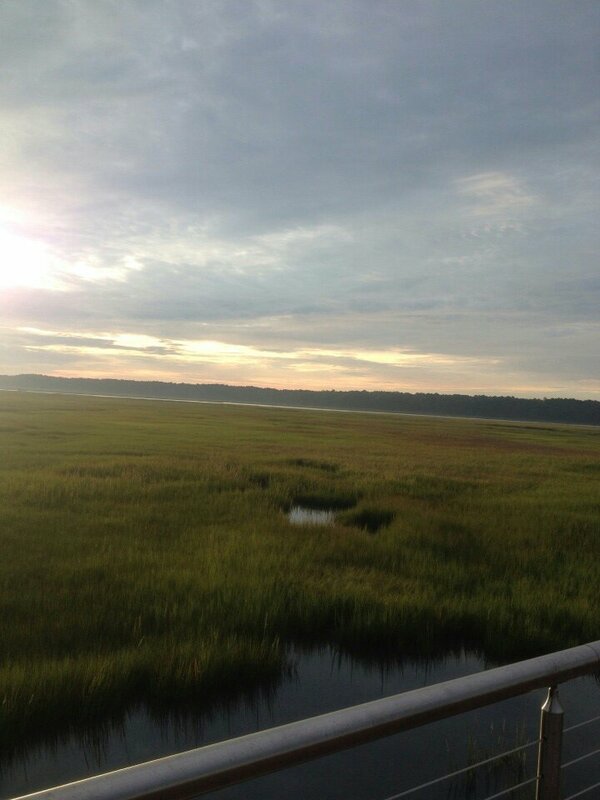 Our vacation spot on the Eastern Shore was as flat as a pancake. I was able to pick up my pace and not worry about any pesky hills. I was even able to PR my 5K time at 30:34! 5. To appreciate your regular route when you return home. I was shocked by how much I enjoyed my hills yesterday! Honestly, I’ve been pretty lazy on the hills lately but yesterday I just powered up then all! Some people complain about getting up early while the family sleeps in. I’d like to recommend that you do it at least a few times. I’m certain you’ll be better for it! Do you run on vacation? Why or why not? Anyway, this has been great for my overall health but I’m finding that I need to do some serious tweaking as my mileage increases. About an hour before my long run, I’ve been eating what someone called “paleo mash” on a thread on FB. Mix it up very well and cook over low heat until thoroughly heated/egg is cooked. Mix in some walnuts, raisins, and unsweetened coconut flakes. It tastes pretty decent, it’s filling, and it doesn’t upset my stomach at all. I plan on making some ahead of time and bringing it to any races where we stay at a hotel. Eating in a restaurant before a race is always an iffy proposition for me and this will eliminate that worry. For mid-run fuel, I put a glob of raw honey in a small baggie. I bite off a tiny corner and take just a bit every 20 minutes or so. I also bring a small baggie of golden raisins. They have the same number of carbs (though marginally fewer calories) than Sports Beanz. I’ve heard about people bringing small salted potatoes and I think I might try that soon. I sweat so incredibly much, I do worry about my electrolyte balance. I also like Huma Chia Energy Gels but I’m running out of my stash so I try to use them sparingly. For fluid, I have a 1.5L Camelbak that I completely drain by mile 12 (13 on a cooler day). I only use water because I won’t drink Gatorade and those are usually the only two choices at races. I like having my Camelbak for carrying all of my stuff and so I don’t have to worry about dropping water bottles before I run but I DESPISE it at the end of a long run! I just can’t wait to get it off my back! What do you like to have on your long runs? Do you prefer GUs, etc. or do you use whole food? There’s No Crying on the Obstacle Course! This has been a rough week for me. I missed both of my midweek runs because I was so stinking tired, I could barely move. I was also letting my worry about Saturday’s 16 miles drain too much of my mental energy. Thankfully, Saturday’s run passed without incident and Sunday had me scheduled to do some work at the obstacle course. Since I was short on miles for the week, and I want to work on my endurance for the obstacle races, I decided to add in 3 miles before the course. A friend offered to join me and we clocked a relatively speedy three miles (serious, 10:02, 10:04, 10:20). Then we hit the course. Two new people were joining us and I selfishly thought to myself that it will be nice to not be the one struggling the most for a change. Yeah, they both nailed every single obstacle. Don’t get me wrong, I was very happy to see how well they were doing and that they were having fun. They’re great people and I really look forward to working with them again. But, I wasn’t happy that I seemed to be stuck at the same level as last time. I was still flailing about and repeatedly throwing myself at the freaking high horse, to no avail. When I slipped on my 6th pass at the wall (which I can normally do) and jarred myself quite nicely, the next thing I knew I was blubbering like a fool. Of course, my friend was worried I had hurt myself but I couldn’t even trust myself to talk because I knew the dam would just break. I was so incredibly frustrated! I was feeling like I wasn’t making any progress and that I was constantly holding everyone up. I know I should only compare myself to me but it’s hard when you hang out with amazingly athletic people. I hate being last. I hate needing the help. I hate feeling that I would be better if my stomach wasn’t in the way or if I was lighter or stronger or if I just tried harder. I hate that my body can’t keep up with what I want to do. I know I have made a lot of progress in the past year – heck, last year I was sweating running 6 miles and couldn’t do even one real pushup or a plank – but I still see such a long journey ahead of me. I know I will get there. 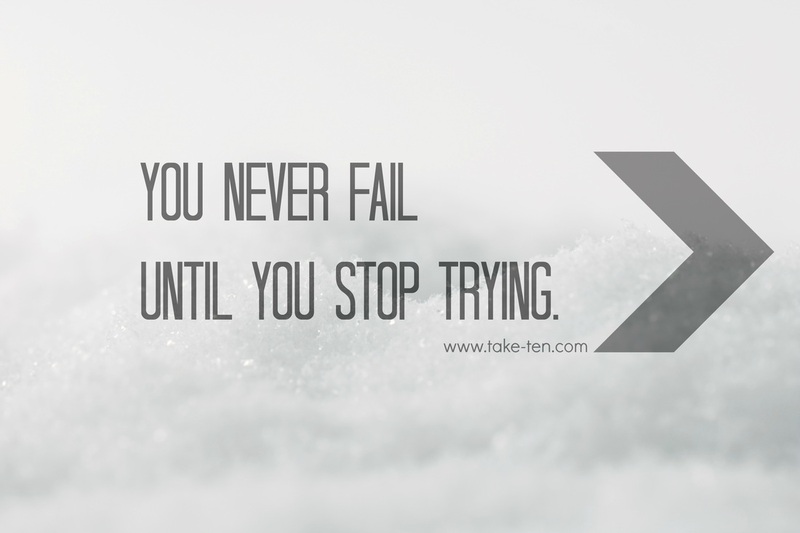 I won’t stop and I won’t give up. 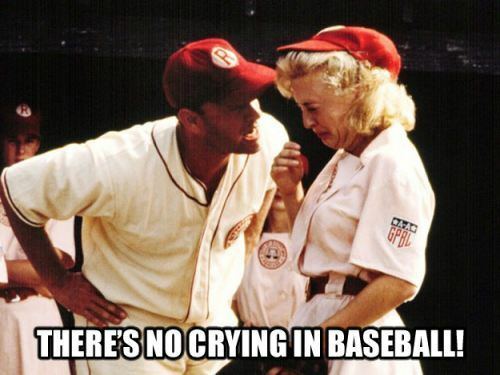 But I might cry a bit.